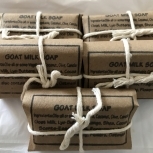 Try our 3.5/4 oz bars of Homemade goat milk soap. 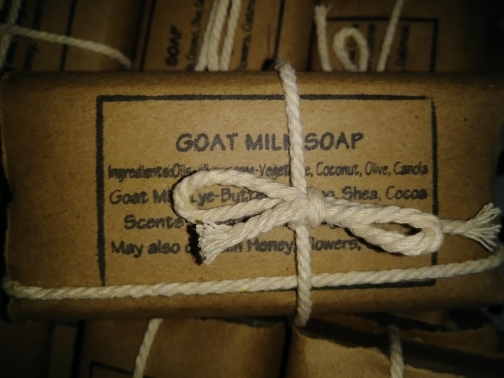 Includes Coconut, Palm, Vegetable, and Olive oils along with Shea Butter, goat milk & Sodium Hydroxide and Frangrance/Essential oils. Choose from Lavender, Honeysuckle, English Rose, Milk honey oatmeal vanilla, Gardenia Scents along with unscented for those who may have allergies. Hand made here on the farm. Price incudes 3 bars of soap per set...Mix and match scents.